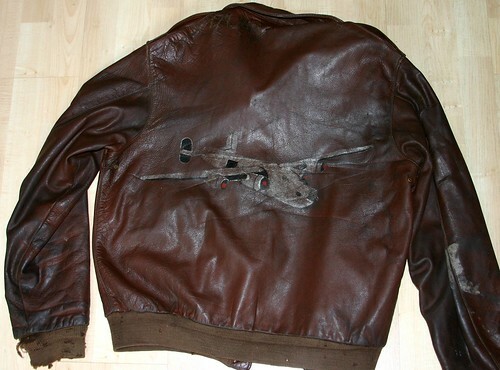 As promised, I took some time to make a picture of my original A-2 jackets. There are 19 jackets there but of course I've forgotten one, the last one I've bought and was stored in another place. So the right answer is 20 A-2s ! I think I'm done unless I find another original, feel that I already don't get to wear them all enough. It was a bargain at the time. Having a guess at this one..... there will be some I miss. Original Bronco A-2 44. 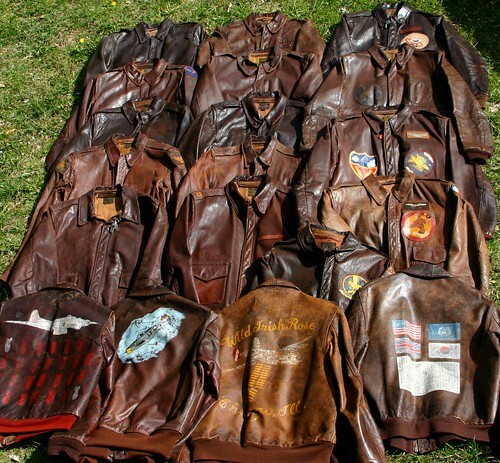 From Ken at Aero Leather's collection. Impossible to replace. ATF Tanker - 4th Ranger Bn patch out. B-5 Helmet, A-2 cap, B-1 cap and A-4 watch cap by ELC. MASH A-2 caps as well. And some BR A-10 gloves. BR A-2 gets daily wear though! Art, Smithy, Thomas Koehle and 1 other person like this. Kind of want a D-1 right now. "If i'd die and my wife would sell the stuff i HOARDED for the Price i told her i payed for it ..."
Pilot, Flightengineer, Art and 1 other person like this. Cobblers161, Pilot and Thomas Koehle like this. Pilot, Flightengineer and ausreenactor like this. My jackets are the least of it. 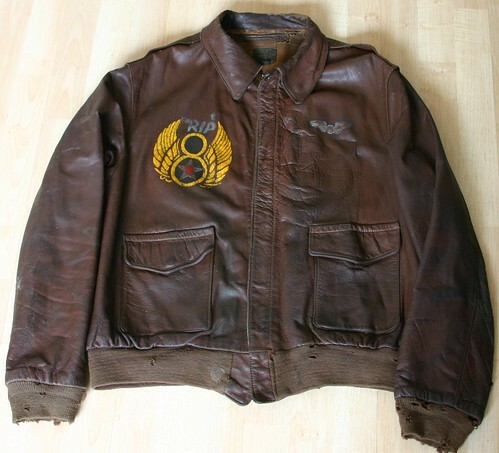 Ten years until I take my Army superannuation pay out then I will sit and list the WWII items I don't need for sale. Pilot, Thomas Koehle and Flightengineer like this. Pilot and Thomas Koehle like this. Can't believe you are calling these things irrational. Sheesh. Thomas Koehle, Flightengineer, jack31916 and 1 other person like this. Couchy, that's an impressive list!!! The only thing wrong with it is the RM B-10, you need to sell that to me asap!